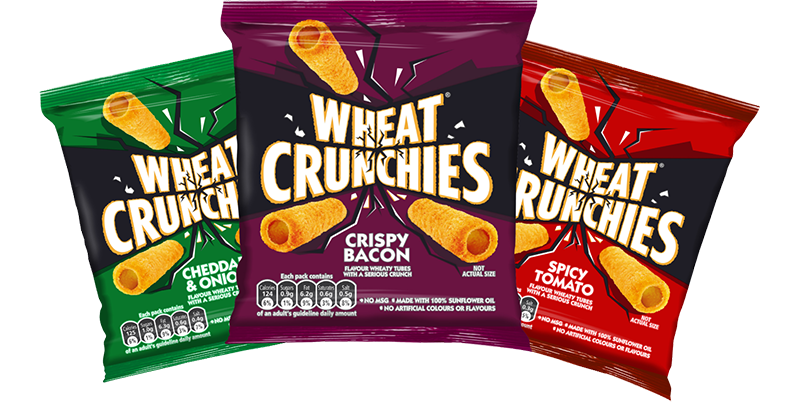 Wheat Crunchies first hit the UK snack shelves back in 1987! With their unique tube shapes and tasty flavours, these yummy snacks are as popular today as they were forty years ago. Try them in Cheddar & Onion; Spicy Tomato and the original favourite, Crispy Bacon flavour.